The popularity of Johann Sebastian Bach’s motets is matched by the problematic manner in which they have been handed down to us. 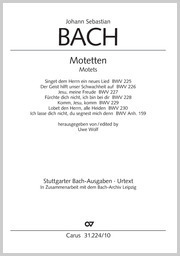 The autograph scores and parts used by Bach have been preserved for only two motets. For the remaining motets we must be content with copies whose reliability is, at best, inconsistent. 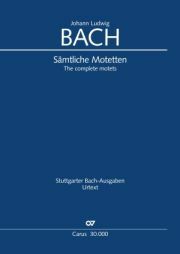 Current editions of the motets are based primarily on the Neue Bach-Ausgabe (1965), which until now has been widely accepted as the standard text for these works. In the meantime, however, additional copies have been discovered and our knowledge concerning the music of Bach has been considerably advanced. In light of these developments it was time for a complete critical reevaluation of the complex situation of the sources. 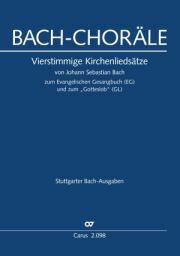 The result is an edition in which the music has changed in countless details and it is hoped that we have come a good deal closer to the intentions of Bach. 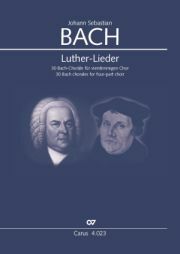 Carus offers the motets of Johann Sebastian Bach in two editions. The volume published as Carus 31.224 contains the complete motets and includes both an English singing text and a realized figured bass. 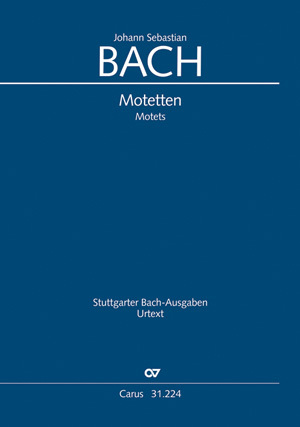 The second motet edition, in a handy format, is published without these two features (Carus 31.224/10).Both volumes contain the five Bach motets ((BWV 225–229), as well as two further motets which are highly likely to have penned by him: “Lobe den Herr, all Heiden” (BWV 230) and “Ich lasse dich nicht” (BWV Anh. 159). “Jauchzet dem Herrn, alle Welt” (BWV Anh. 160), the large pasticcio drawn from movements of cantatas by Teleman and Bach is contained only in the larger, more elaborate volume (Carus 31.224). 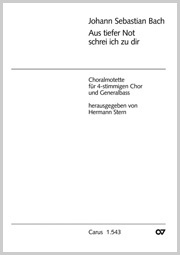 Also availabe in carus music, the choir app.